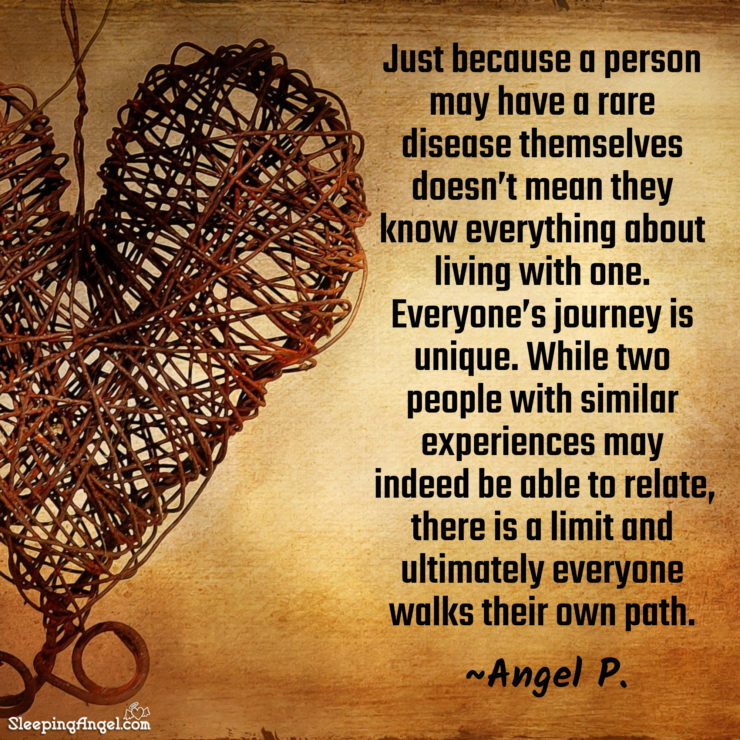 Just because a person may have a rare disease themselves doesn’t mean they know everything about living with one. Everyone’s journey is unique. While two people with similar experiences may indeed be able to relate, there is a limit that ultimately everyone walks their own path.